Manfred Gerstenfeld interviews Ruta Vanagaite on her new book, My people; Journey with an enemy: "Older people have apparently found the book quite offensive; it is incredibly painful for them to face their past." “My interest in the Lithuanian Holocaust resulted from my involvement in an educational project for young Lithuanians named ‘Being a Jew’. Many of those who attended these events became increasingly interested in Jewish heritage, culture and religion. Ruta Vanagaite, a native Lithuanian, graduated in 1978 from the Moscow Theatre Institute. She has extensive experience as a journalist, publisher, theatre and TV producer, festival organizer, political PR consultant and until recently producer of large scale site specific events. In 1993 she received the “Woman of the Year” award. “This project led me to realize how strong anti-Semitism is in Lithuanian society, even now that there are almost no Jews left in the country. Another painful discovery was that some of my relatives had played a role in the Holocaust. While they were not actively involved in violence, they were most probably involved in making lists and possibly also in isolating the Jews before they were murdered. The official position was and still is that Jews were murdered by a bunch of ‘monsters.’ My main findings were that not all the killers were monsters. “When I began my research on the Holocaust I decided to rely exclusively on Lithuanian sources. I wanted to be sure that people could not accuse me of being “influenced” by materials published by “non-objective” witnesses or writers from abroad. To my surprise I found that Lithuanian historians have presented the truth about our country’s Holocaust perpetrators. I read their books, attended their lectures and talked to them. I also spent six months in the Lithuanian special archive reading testimonies given both by the murderers themselves and by those who witnessed the crimes. All these people were Lithuanians. “My main findings were that not all the killers were monsters. In 1941 Lithuanians joined the self-defense battalions in order to serve their country. The crimes of the Holocaust became possible because of the collaboration with German Nazis by Lithuanian leaders and the civil administration. The administrative infrastructure of our country was in the service of the Nazis. “I then contacted Dr. Efraim Zuroff of the Simon Wiesenthal Center. We decided to travel through Lithuania together. We visited more than 35 towns where there were Jewish communities. During this trip we found that witnesses of the mass murders were still afraid to talk. We also discovered another painful fact: the memory of the victims is practically erased from public view and their graves are very often neglected. “Another important discovery for me was the fact that after so many years, despite old enmities, people can talk and agree on many things if they are sincerely searching for the truth. Efraim and I then decided to publish our findings in a book. Its title in Lithuanian is Mūsiškiai; Kelionė Su Priešu which translates into Our People; Journey with an Enemy. It was published in January 2016. The book sold out in two days. The publisher printed 6,000 copies of the second edition, which will probably also sell out in a short time. “We decided that the Lithuanian edition would be published with me as sole author since I have already written several books which people have liked. My expectation was that some of my audience, at least, would open this book too. In the English translation, which has already been prepared for publication, Efraim is named as the first author. “It is incredibly painful for Lithuanians to face their country’s past. If Efraim’s name had appeared on the cover of the Lithuanian edition, many Lithuanian readers would not even have opened the book. 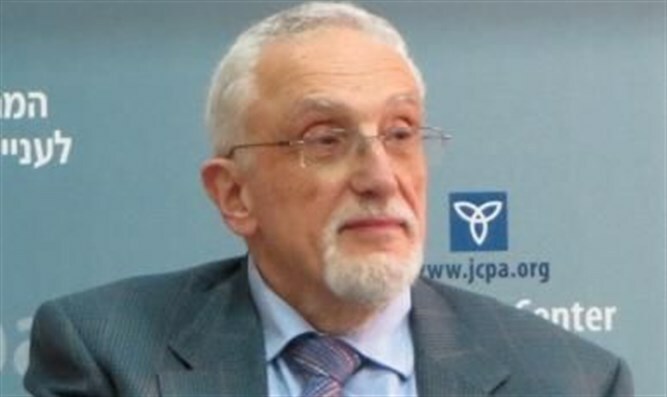 He is considered an enemy of Lithuania, accusing Lithuanians of Holocaust crimes we do not want to know about. However, Efraim’s presence is felt strongly throughout this book. By ensuring that Lithuanians will open the book, I found a way for people to meet Efraim, to pay attention to him and to understand many of the things he has been saying for years. There was no other way I could have made my countrymen listen to him. Vanagaite concludes, “At the moment Lithuanian society is electrified by the book. Everybody seems to have a forceful opinion on the subject. Older people have apparently found the book quite offensive. This is probably because it deprives them and their parents from being identified as the victims of the war. Between July 1941 and August 1944, the German and Lithuanian Nazis murdered up to 100,000 people, mainly Jews, near the Ponary train station. Ponary, now Paneriai, is a suburb of Vilnius.